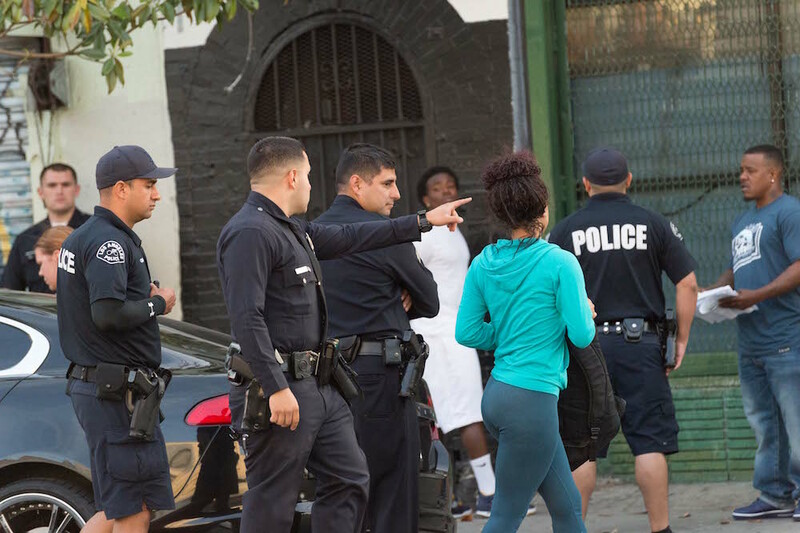 Here’s one big lesson from the progress we’ve seen in South Los Angeles: effective policing requires building deep relationships and real personal connections with the people whom you’re charged with protecting. When a police commander like me says something like this, sometimes skeptics will dismiss it as just political correctness or public relations or confusion about the difference between policing and social work. Those skeptics are wrong. Relationship building is an essential ingredient in the historic reductions in crime we’ve seen across the city, and especially in parts of South L.A. with longer histories of violence. As of mid-May, Watts, where I’ve spent years working with the community through the Watts Gang Task Force, had had only one homicide so far this year, and we had a recent stretch of almost two years without a homicide in any of the three public housing developments; Jordan Downs has had only one homicide in nearly six years. There are many reasons why crime and violence have been reduced in South L.A. One important one is that the police have the credibility to enforce the laws because they have the trust of the community. Building that trust has been the focus of our work. The LAPD has tried to create ways for officers to get to know members of the community in settings that don’t involve the enforcement of the laws. We have police participate in community programs (football, baseball, running clubs, Girl Scouts, tutoring—anything that reaches kids) and even raise money for local charities. We have police visit schools, and we bring community members in to talk to officers at roll calls and orientations for new officers assigned to the station. My wife, who is a police lieutenant, and I make a point of supporting local charities and community-based organizations as partners, particularly children’s organizations that focus on the mental health of kids who are affected by trauma and violence that is all too common in their neighborhoods and homes. I’ve seen that traumatized kids and families become the sources of future crime and violence. One reason I appreciate the value of relationship building involves my own personal relationship to South L.A. I was born at St. Francis Hospital in Lynwood and grew up in South L.A. and east L.A. County. My parents were both from the neighborhood—my dad grew up at 110th and Vermont, my mom at 98th and LaSalle—and both graduated from Washington High in the early 1950s. When I was born, my parents were living at 85th and Hoover. We moved to Whittier when I was in grade school, but I spent summers with my grandfather, who lived in Baldwin Hills and owned a meat market at 23rd and San Pedro. And if you go to 74th and Hoover today, you’ll find a little pink church that used to be the Greek Orthodox Church where we worshiped. I have very vivid memories of the 1965 riots. I was 8 and I remember standing at Century and Western near my grandparents’ home, and my grandmother trying to explain what was going on. I remember the fear between white and black people, the discomfort people had then because they were very ignorant of each other. And I draw on those memories and experiences today, in trying to get people together so they can better know each other. My return to South L.A. as a police commander was improbable. After high school, I spent years in the military, from Germany to Key West, before joining the LAPD in 1980. I worked in the Southeast Division my first year and a half, but I got moved around a bit. I ended up back in Southeast while working in the Metropolitan Division in the late ‘80s during Chief Gates’ Operation Hammer, which was a response to gang shootings that involved putting people in jail for any violation that the officer had a constitutional right to address. I was torn—many people in Southeast thanked us for addressing the problem and we were genuinely trying to do the right thing and protect the community. But I’ve learned in policing that “it’s not just what we do, it’s how we do it.” We were aggressively detaining people for any legal cause, and our tone made it appear we were looking down on people and the community. In 2006 I made captain, far beyond anything I expected to do at LAPD (my original dreams had stopped at lieutenant), and 10 months later I found myself assigned to South L.A.—the Southeast Division, where there was a lot of hatred between the community and the department. A small number of officers were responsible for a good part of the controversy. … effective policing requires building deep relationships and real personal connections with the people whom you’re charged with protecting. A heart-of-gold commander named Rick Jacobs took me to the Watts Gang Task Force, which brought together law enforcement, various agencies and leaders, and community stakeholders. For two hours every Monday I attended those meetings, and for the first two years, I got yelled and screamed at about the conduct of our officers. It took some time to get those officers moved out of the division, and longer to open up communication. After some time, I began to push back and make the point that the community—not just the police—has obligations to counter crime by taking responsibility for the neighborhood, which means partnering with law enforcement to fight crime. We did everything we could to get officers, particularly new officers, in situations where they could just talk with people from the community, and understand that South L.A. residents were just regular citizens like themselves. That’s how we started bringing community people to the station for roll calls and to talk to new officers. (Twenty years ago, that would have pissed off a number of cops). We had officers work and develop partnerships with a wide variety of community organizations. One of our most important early partnerships was with 99th Street Elementary School and its innovative principal, Sherri Williams. At her invitation, we had officers who visited the school and read to kids. It allowed the kids to see the officers in a different light, and it allowed officers to see these were normal kids who wanted to achieve. Each year, we would make an appearance at the school; one time I wore a chicken suit, another time I let the kids spray my hair pink and shave it off, and a third year we rode into the school on horseback with Buffalo Soldiers. Now, 10 years later, that, and many other things have changed. Officers who worked Southeast a decade ago come back and the first time they walk into Nickerson Gardens, they’re shocked that people are saying hi and kids are running up to the police car, not away from it. We continue to be aggressive about talking with everybody, and that means engaging schools, parks and recreation, business groups, and all manner of officials. And sometimes our message is quite tough. I’ve had serious discussions with school officials about their tendency to suspend so many kids, instead of working to keep them engaged in school. Gompers Junior High was the worst offender for a while—kids would act up and they’d just suspend them. It wasn’t entirely the school’s fault—they had very few staff and huge numbers of special education kids. But they wouldn’t even require the parents to pick the kids up. In many meetings, we’ve convinced Gompers and other schools to keep nonviolent kids on campus and supervised. When the police are deeply engaged in the community, we can speak and advocate for its needs. As police, we see that South L.A. needs much more programming for kids; such programming has made a big impact in the housing developments, where much of it is focused. South L.A. also needs the schools to bring back music and the arts in a much bigger way. The area is totally ripe for children’s diversion programs, and not just for offenders but also for kids who haven’t offended but may be at risk of doing so. But South L.A.’s biggest need, by far, is jobs and businesses right here in the community. Education levels have risen and job training has improved; there are plenty of people ready to work, and not enough work for them. … the community—not just the police—has obligations to counter crime by taking responsibility for the neighborhood, which means partnering with law enforcement to fight crime. One reason we don’t see more business is that people don’t understand the gains in South L.A. For doubters, I’d encourage them to check out all the housing being built in South L.A. I see people buying lots and subdividing them to create a couple of homes. Or you could check out Chef Roy Choi’s new restaurant in Watts, LocoL, where you’ll often find me. LocoL is a symbol of where this community is going—new business and local hiring. When I was last there, I was glad to see a few people working there who I know didn’t used to be pillars of the community. We all change. But another reason for the lack of business is a problem police are too familiar with: property crimes. California law doesn’t really take property crime seriously—it’s been more focused on violence, understandably. We’ve seen gangs move into theft and we’re seeing more so-called “knock-knock” residential burglaries because the criminal justice system currently doesn’t address property crimes with meaningful consequences. I also don’t want to minimize violent crime and gang activity; it’s less visible, but it’s still there, just different. Gangs used to wear bright colors and be about turf and drugs. But increased penalties related to gang involvement curbed that. Today, social media can be the cause of shootings, and shootings can be more dangerous for people not involved in gangs when members don’t necessarily know each other by face. We recently had an arrest on a homicide at 55th and Vermont where a battle started on the Internet, and the guy went to the neighborhood of the other person and just opened up on people standing there, as if he was retaliating against the neighborhood. When I think about the future of South L.A. and the policing of it, I’m hopeful that we can continue to build relationships and the momentum that comes with them. But I’m also fearful about a reversal of gains. South L.A. needs more resources of all kinds—more mental health care options, services for families, and new answers to address the growing homeless population. And while schools have gotten better at teaching science and math, they need more funding for staff and services that support students and their parents. It is hard to work with dysfunctional parents and families, but there are ways to bring them into school. Our friends at 99th Street Elementary used to hold exercise classes for the moms with the goal of bringing in parents. We also need more police officers to keep building more of the relationships that provide a wall against gangs and crime. Relationships are fragile, and personal connections can endure in ways that are surprising. About four years ago, I went to my grandparents’ old house at 98th and LaSalle. I saw an African-American lady on the front lawn, and so I introduced myself as a kid who used to play in her front yard. “Oh, you must be Maxine’s grandson,” she immediately said. She explained that her family had bought the house from mine. And she told me how nice my grandparents were, how they reassured her it was a good place to raise kids, and how they lowered the price and gave them their washer-dryer and even their kitchen table, because it was bigger than my grandparents needed. I was flabbergasted—it had been 45 years. But a long-ago personal connection, a bit of conversation and generosity, still had not been forgotten. Phillip Tingirides is the Assistant Commanding Officer, Operations-South Bureau of the Los Angeles Police Department.